Well wishes to all of you and hope you have been enjoying the holidays! 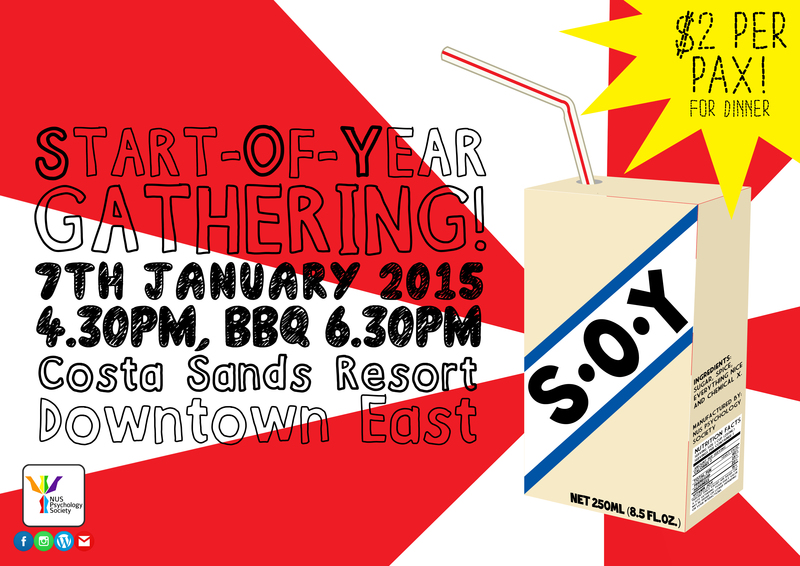 The NUS Psychology Society warmly welcomes you to our annual Start-Of-Year (SOY) Gathering! Begin your year with a bang and have fun with like-minded peers and friends! Join us with your friends in welcoming a brand new year. All members, alumni and friends are invited to join us! Feel free to hang out with your best buddies and make new friends within the society! We promise an enticing barbecue, snacks, non-stop entertainment, games, and a whole lot of fun! (SOY MILK included 🙂 ) If you so desire, we welcome you to bring your share of games, snacks and so on. Hope to see you there, and have a GREAT new year ahead! It’s drawing closer to 6th November! Here’s a full list of our proud sponsors for this semesters welfare pack distribution! 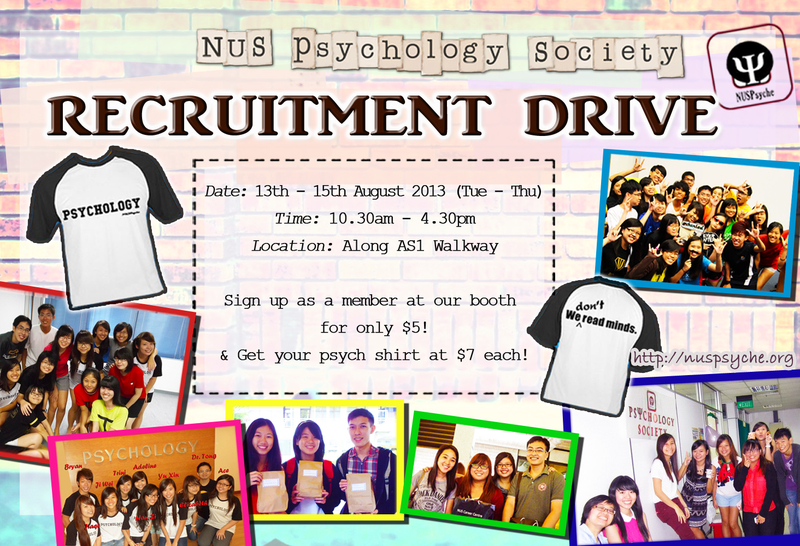 NUS Psychology Society would like to thank them for their kind support. NUS Exam Welfare Pack distribution is back! 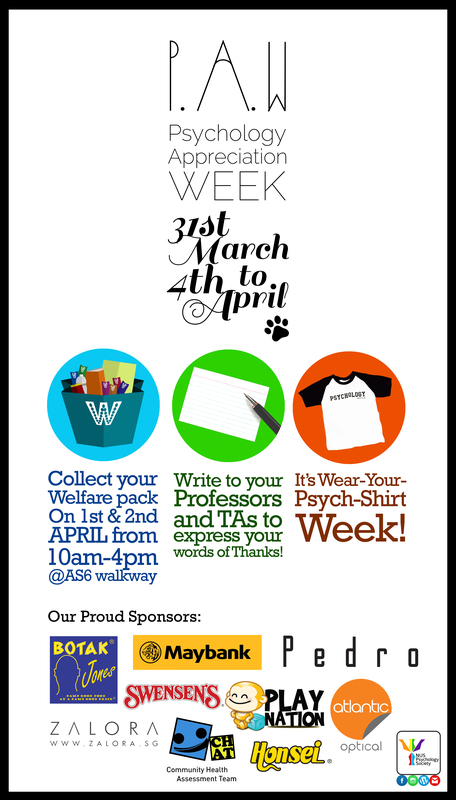 As exams are round the corner once again, NUS Psychology Society has prepared Exam Welfare Packs for our members! Simply present your membership card or wear your psych shirt to collect yours at our booth. 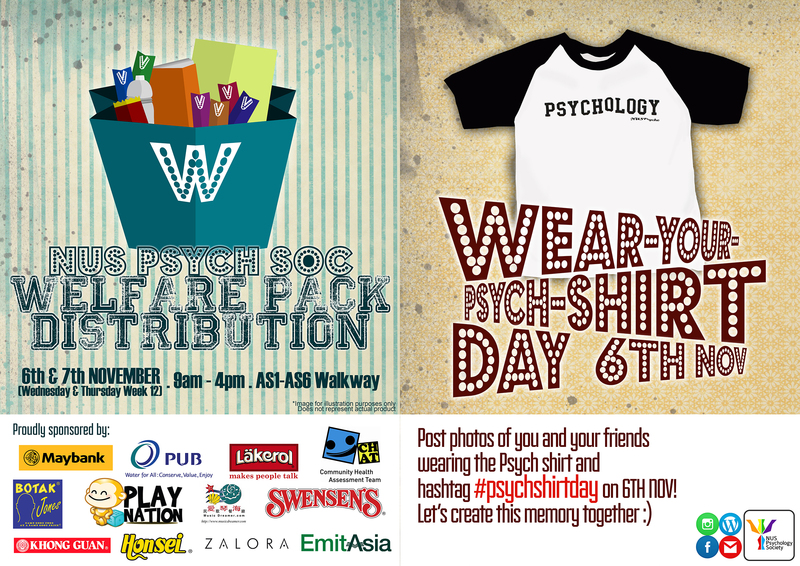 Wear-your-Psych-Shirt Day is on Tuesday (2 April), so do remember to wear it with us!